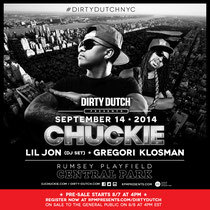 Dirty Dutch recently announced plans for their Central Park, NYC takeover on 14 September. Teaming up with NYC-based RPM, the show aims to be a next-level playground of new production elements, music and experiences, featuring Chuckie, Lil Jon and Gregori Klosman. Dirty Dutch is helmed by Chuckie, who has championed his Dirty Dutch musical style into a recognisable brand. Rumsey Playfield in Central Park is the setting: possibly becoming one of New York’s favourite places to party. Continuing a long and successful track record of events staged by Dirty Dutch & RPM, clabbers can expect a wide array of sonic, aural and production elements that have been meticulously tailored for this event. 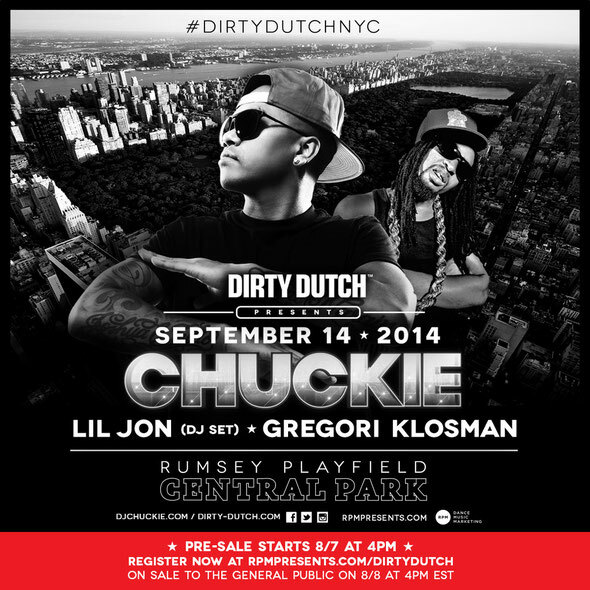 Lil Jon: "Ready to go all out with my Dirty Dutch cousin DJ Chuckie in Central Park! I got some surprises for NYC in my back pocket."